The St. Clement Pope, Jamaica, Catholic Youth Organization track team will be hosting Long Stride 2018, a 1-mile run/walk through the community. The event takes place Saturday, Oct. 13 at 10 a.m., with registration starting at 8:15 a.m. The run/walk honors the memory of Trinidad Olympian Manny Ramjohn and former St. Clement track coach Morris Pasqual. All proceeds benefit the parish’s CYO track team. For more information or to register, contact St. Clement track coach Robert Pasqual at rpasqual@nyc.rr.com. He has served as the men’s program coach for the past 39 years and the women’s program coach for the past 34 years. Before Fordham, he coached in the Brooklyn Diocesan CHSAA at St. Augustine H.S., Park Slope; Bishop Ford H.S., Park Slope; and Nazareth H.S., East Flatbush. In total, he’s been coaching for 53 years. 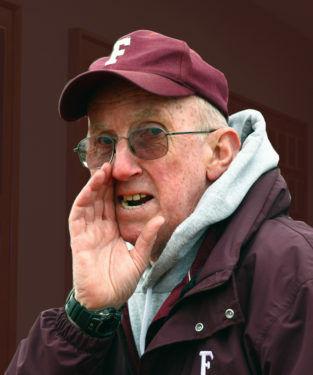 The 1965 graduate of St. Joseph’s College Brooklyn, Clinton Hill, has amassed many accolades at Fordham, including being named the school’s Coach of the Year in 1983 and 1995. He’ll join the likes of sports legends Frankie Frisch, Vince Lombardi, Wellington Mara and Vin Scully in the Fordham Athletic Hall of Fame. The St. Francis College, Brooklyn Heights, men’s soccer team celebrated its 50th anniversary as part of a special Alumni Day at Brooklyn Bridge Park on Sept. 22. Since 1968, the men’s soccer team has been a staple of the college’s athletic program. Each year, the team graduates top-level student-athletes who continue to compete for the love of the game and enter their careers with memories that last forever. 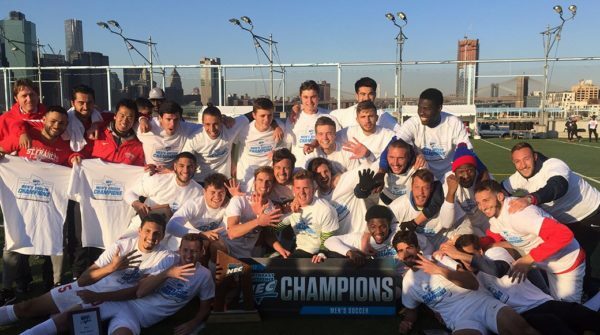 The Terriers have won seven Northeast Conference tournament championships, including four of the past five. The school has played in the Division I NCAA Tournament eight times.